Schlumberger Limited. (SLB) Holdings Decreased by Salem Capital Management Inc.
Bruce Rauner the soon to be inaugurated Governor of Illinois campaigned as the state’s reformer of often corrupt politics. However, watchdog groups have said that activities that surround his Monday inauguration are amongst the priciest of any prior or current governor and benefit from a loophole in the laws regarding campaign finance that allows the wealthy special interests’ access to those who are holding the power politically. 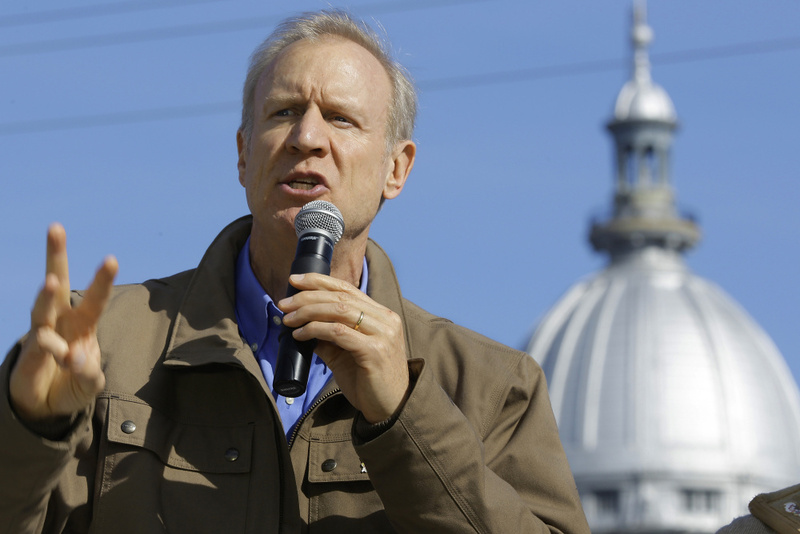 The groups say that the inauguration of Rauner with a tab that is estimated to be as much as $10 million is similar to the trend in other U.S. states. The costly festivals, funded by the private sector, skirt ethics laws as well as open conflict of interest issues for politicians. Rauner is a Republican who has allowed corporate donors to put in up to $100,000 for the inauguration events. Individuals can spend $25,000. He is not alone. Tom Wolf the Pennsylvania Governor, who is a Democrat, will take as much as $50,000 per donor. Sponsorship packages for corporate donors for the inaugural events by Wisconsin Governor Scott Walker and Arkansas Governor Asa Hutchinson who are both Republicans, were $30,000 and $25,000 respectively. Spokespersons for Hutchinson and Walker did not make any comment when contacted. A Wolf committee spokesperson said a list of donors would be posted soon on the Governor’s website. The gubernatorial inauguration price tags are dwarfed by the celebrations in presidential celebrations. In his first presidential inauguration, President Obama did not allow any corporate donors, although, only 211 individuals paid for 80% of the price tag of $35.3 million. For the second inauguration, the president accepted an unlimited number of corporate donations. These events for the inauguration are basically nothing but private parties considered to be non-partisan. Under state and federal campaign laws the committees, set up to run the inauguration do not have to disclose donor names or spending because the event takes place outside the election process. All the money raised in these events is meant to be used to cover their expenses, with any surpluses typically handed to charity.